Our trip 'Around the world' brings us to China today! 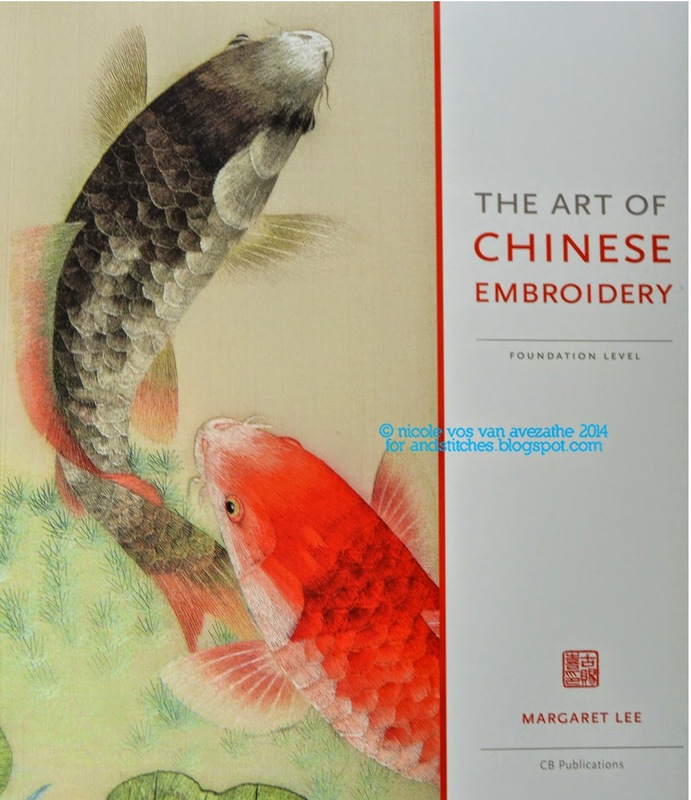 A little while ago I ordered Margaret Lee's book The Art of Chinese Embroidery. Mostly because shading, one of my favourite embroidery techniques, plays an important part in Chinese Embroidery. And I always like to look 'over the fence', outside the regular resources, for techniques and tips that might be interesting to use in my own work. The Art of Chinese Embroidery starts with explaining the importance of Silk Embroidery in China and how Silk farming is done. It also mentions the four main embroidery categories (located in four separate areas) of which Su Embroidery is the most famous. Su Embroidery is over 2000 years old and the name is given to work from the Jiangsu province in Eastern China. 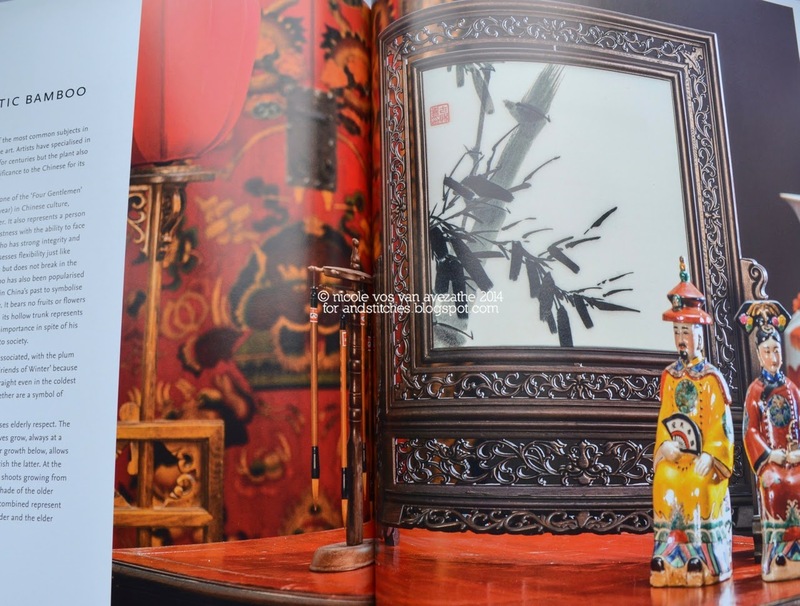 The book is meant to be a practical resource and to learn about the art of Su embroidery. Generally the tone in the book is quite formal and the importance of discipline, patience and the right attitude is underlined. Not something we normally see discussed in craft books but key in (understanding) Su Embroidery. Materials used are partly regular things like crewel or sharp needles, but also things that I'm guessing most of you don't have at home (and neither have I!) like huge frames (apparently you can use both Western and Chinese frames), filament silk thread and silk fabric (also preferably both from China). This chapter also contains lots of practical information on how to prepare your threads, frame your fabric etc. Are 'Chinese Stitches' a lot different than 'Western' stitches? Some were new to me and some just have different names. A Joint Stitch is what we would call a Back Stitch for example and a Rolling Stitch is essentially a Stem Stitch. However the Split Stitch is not exactly the Split Stitch as we know it. And I loved being introduced to the Wispy Stitch. I found the pages about filling techniques and blending stitches also really interesting. It describes partly things I also do when I'm Fill Stitching or stitching furry and other animals but in a much more formal way and very, very specific. There were also techniques that were completely new to me like the much of the Scaling Techniques (for fish scales for example). The second half of the book is dedicated to Projects that will help you learn and understand the techniques and stitches of Su Embroidery. These are very traditional looking projects (and quite large too!) as you can see in the photos but the detail and skill that shows in the finished examples are exquisite. I especially love the birds (see detail in the photo above) and the fish (also featured on the cover). Each project has an introduction where the symbolism of the flowers or animals is explained and a stitch and colour guide. 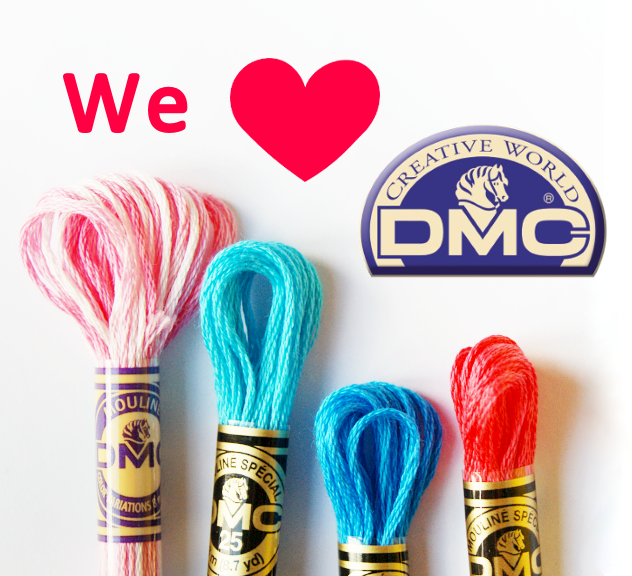 The colour guide is for silks, so don't expect DMC numbers here rather 'medium charcoal' or 'very light slate green'. In the back of the book you'll find large folded pattern sheets with the embroidery designs. 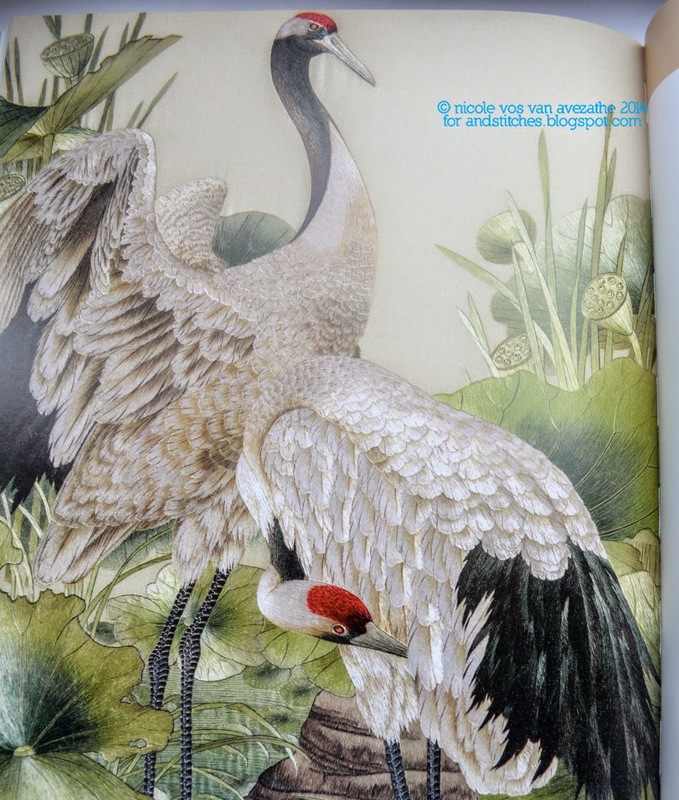 The book, which projects are 'just' foundation level, finishes with a peek at more advanced Su Embroidery projects like the wonderful cranes pictured above or double sided embroideries (embroideries which can be seen from both sides). I'm afraid even getting to the foundation level will be quite a big task for me and it's not something I see happening in my future very soon. However, I'm definitely going to try a few of the techniques described in the book. Possibly just with my own humble plastic hoop and regular embroidery floss though. 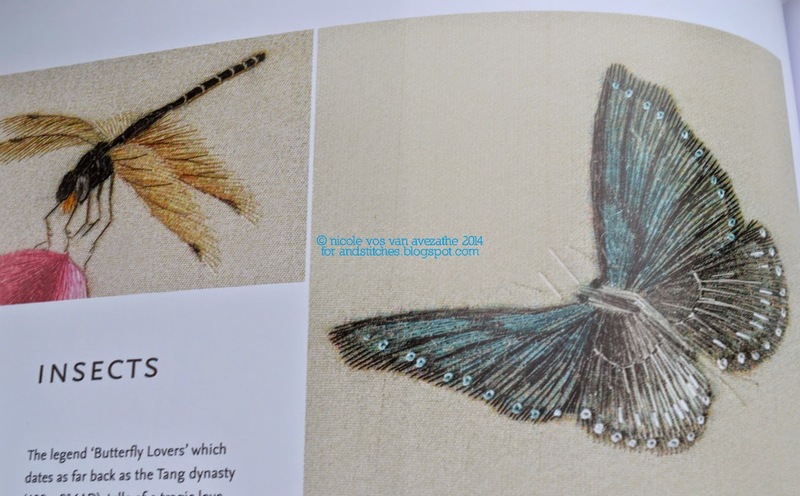 I think this book is an excellent guide if you want to work towards getting to the 'Foundation level' of Su Embroidery and a very interesting and inspiring read if you just want to learn more about this type of embroidery. 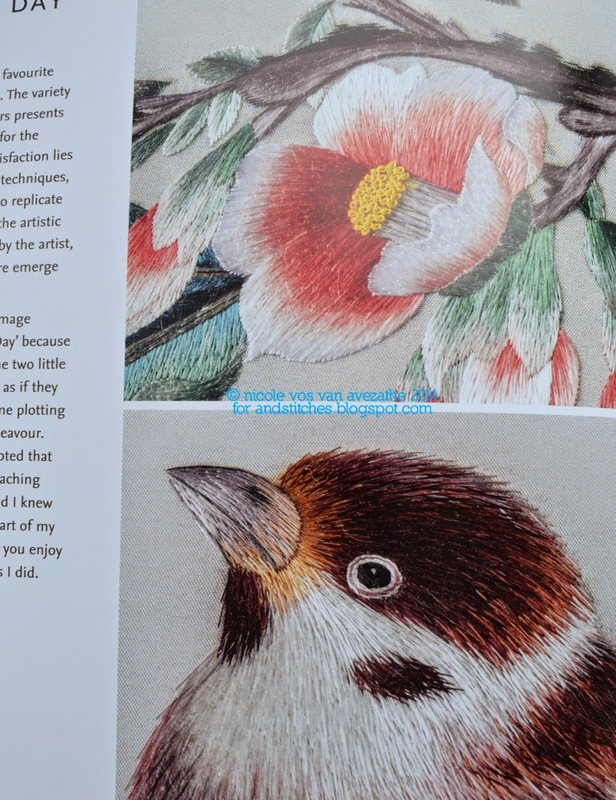 The Art of Chinese Embroidery is available via the Australian publisher Country Bumpkin but it seems that it's kind of difficult to get hold of it outside Australia (at least my online search didn't give very encouraging results). You can see more examples of Margaret Lee's work on her website, where you can also buy embroidery kits and frames. Looking forward to having a good read and picking up some ideas.